The Indus civilization is in so many ways a puzzle wrapped in another puzzle. One of the most challenging with respect to seals are the terracotta seals of the adjacent and contemporaneous Ahar Banas culture (3000-1500 BCE). They were made of clay, unlike the steatite favored for most Indus seals; they copied that and other types of seals; they were found at early elevations and at later ones; they were copies and unique. Marta Ameri, an expert on seals as objects, takes on this puzzle in a gripping paper that, in her words, "contemplates the role that imitation and adaptation play in the production of terracotta seals, as well as reconsidering the intrinsic value of the materials in which they are made and the role that technological styles play in defining local identities, specifically in the case of the Ahar Banas. 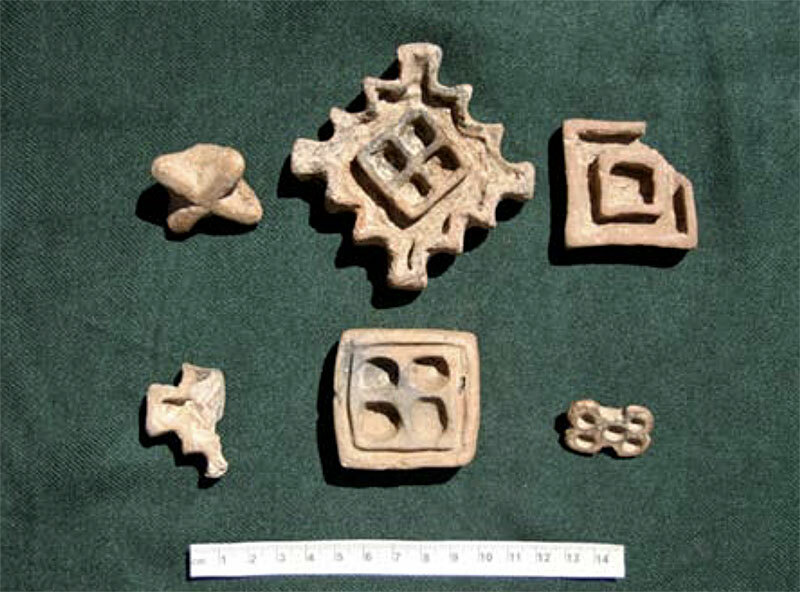 In addition, the following discussion will consider the different ways in which cultures in Southern and Central Asia and Iran used clay seals to either imitate luxury goods, to assert their cultural identity, or as elements of a less official system of sealing and administration." 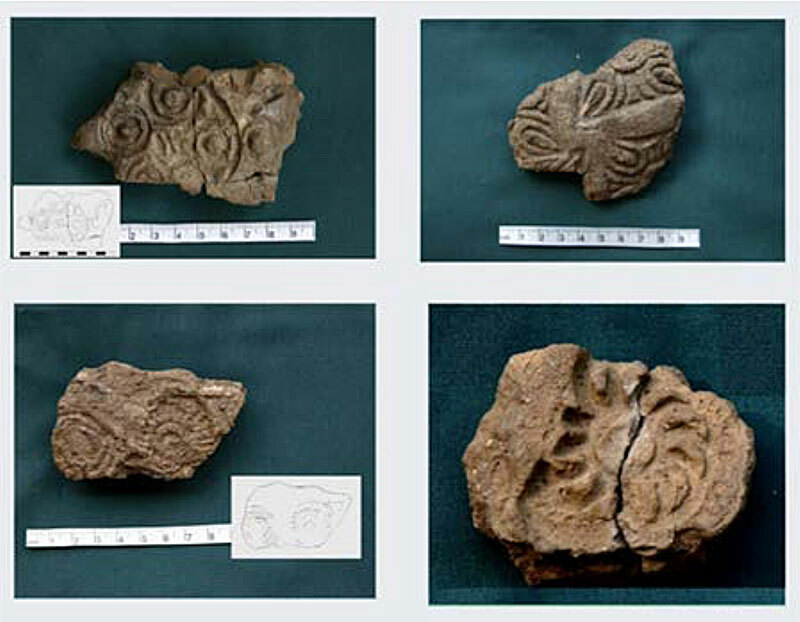 The majority of these seals were first discovered at the site of Gilund in Rajasthan 2003, and the vigor with which terracotta, even very finely done terracotta was used to generate mostly geometric seals suggests to Ameri that they were an identity marker of this culture. Possibly two workshops, one at Ahar near today's Udaipur seem to have been involved (Ahar seems to have made the finest examples). Whereas elsewhere such seals are found at the start of Bronze Age cultures, here they seem to have lasted well into the height of the Ahar Banas culture (2000-1700 BCE). Ameri goes on to discuss examples of such seals from Chanhu-daro, Lothal, Kalibangan and elsewhere, trying to probe why such a type was necessary and what it might have said about the people who made and used them. There may be no clear answers, but her breadth of analysis reminds us about how complex and multi faceted cultures were at that time, how common mechanisms like seals and sealings (which must have played a role in trade) also had very distinct identities and were statements of meaning for their users. They were multi-level signifiers. In a square inch or less, this article so clearly shows, they packed together many visible and invisible strands of economy, art, trade and history. 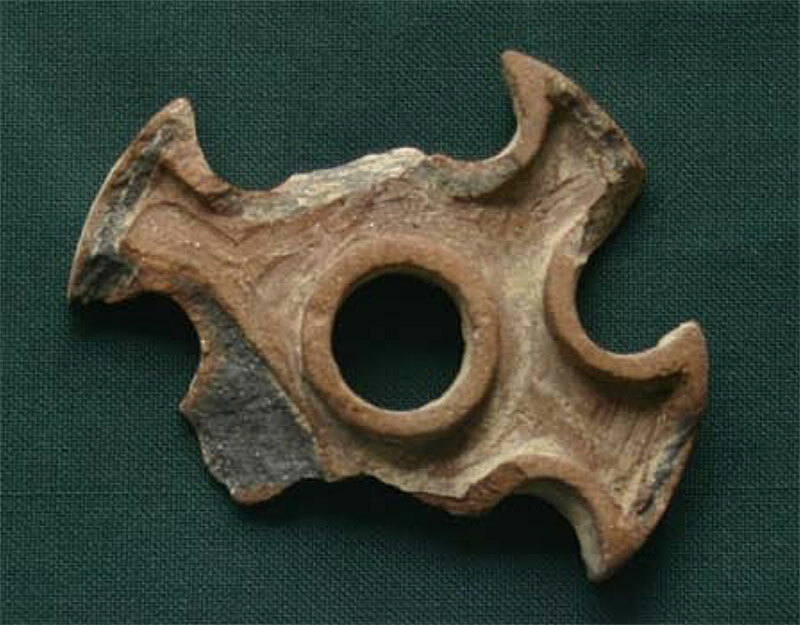 A richer and more complicated Bronze Age object is hard to imagine. 1. Clay seal from Ahar with visible tool marks (photograph by M. Ameri). 2. Finely worked seals (‘non-local’ group) from Ahar (photograph by M. Ameri). 3. Sealings from Gilund (photograph by M. Ameri). Download The Sincerest Form of Flattery?